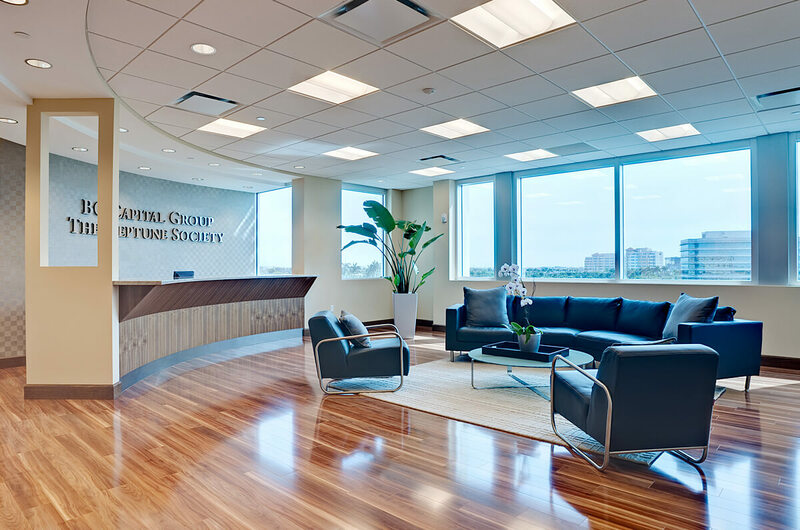 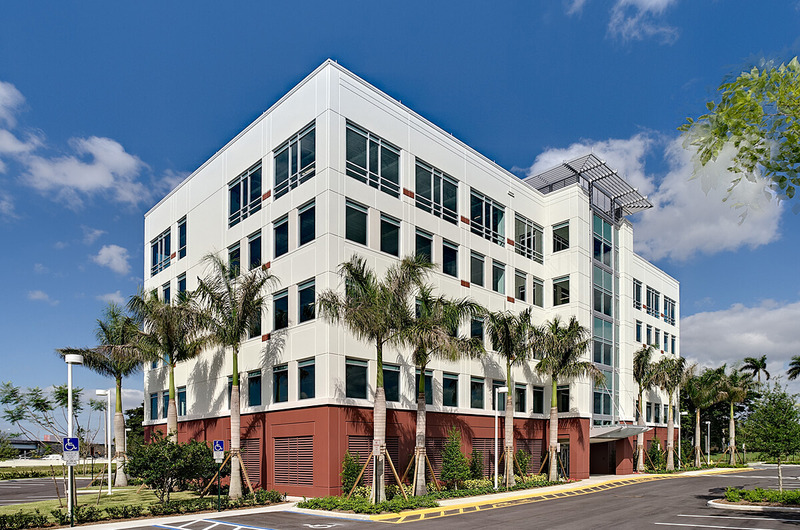 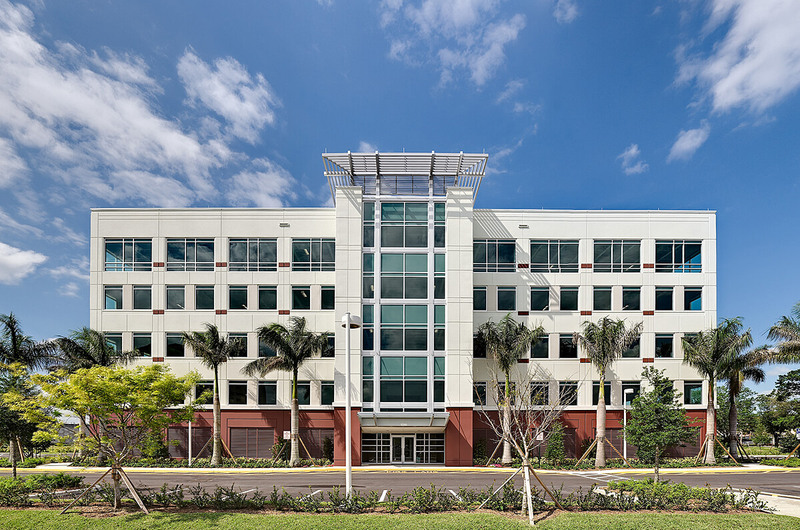 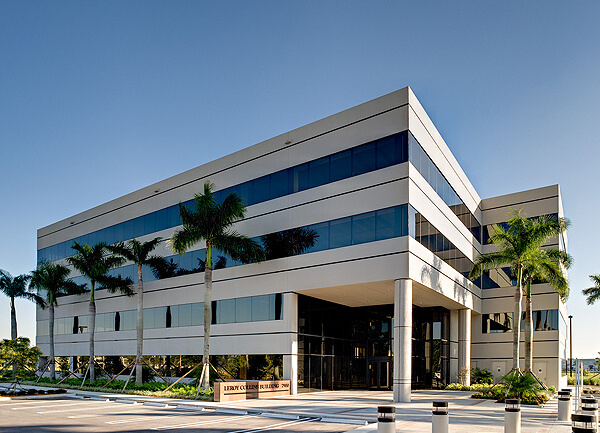 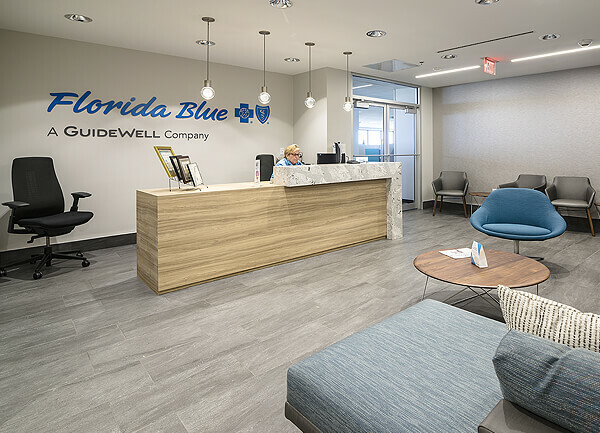 Miller used tilt-wall construction to build this five-story office condominium, which consists of four floors located above ground-level parking and a first-floor lobby. 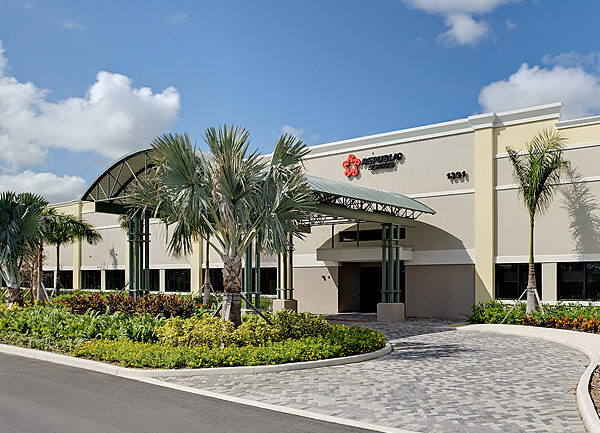 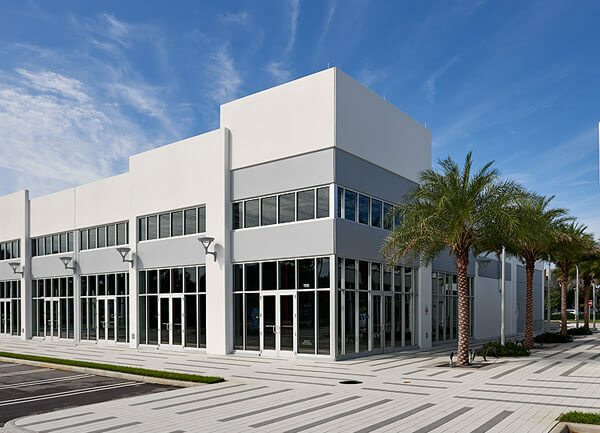 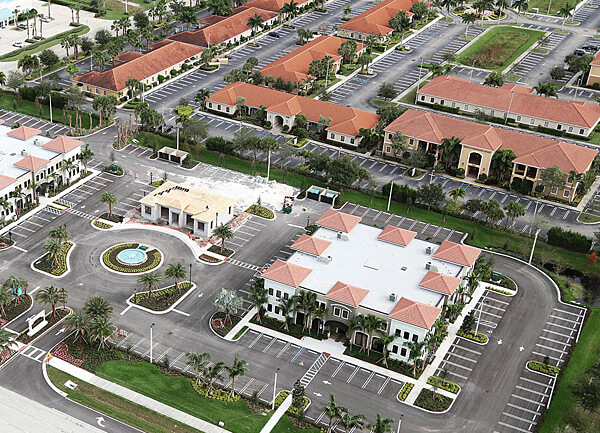 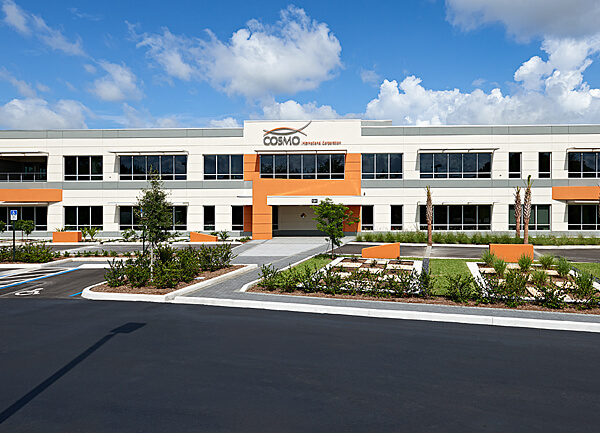 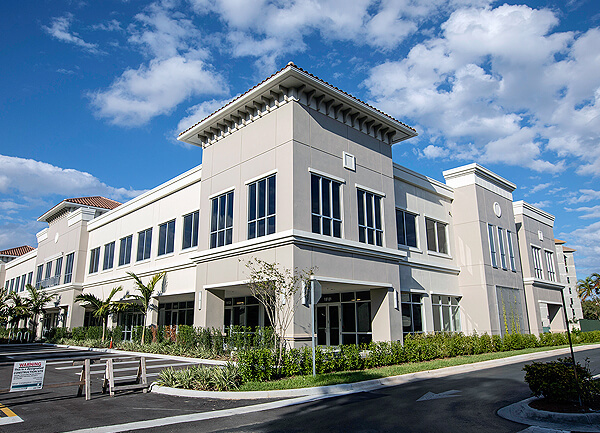 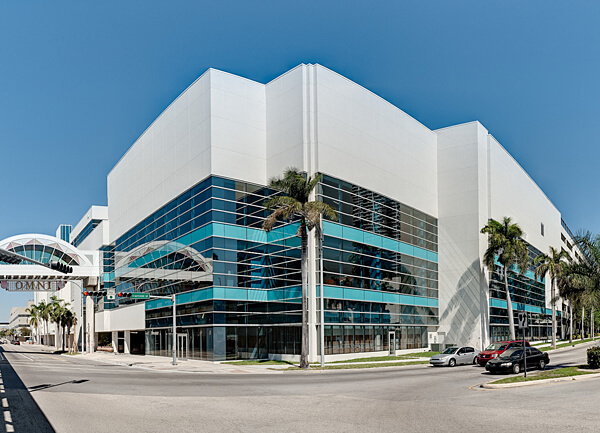 With its soaring exterior, Cornerstone Five is clearly visible from I-595. 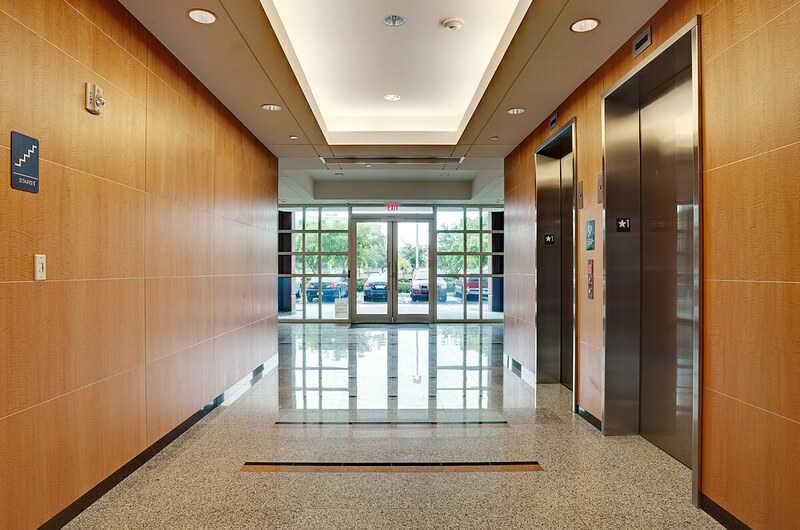 Making an impressive statement, the interior Class-A office space includes finishes such as granite floors and wood paneling. 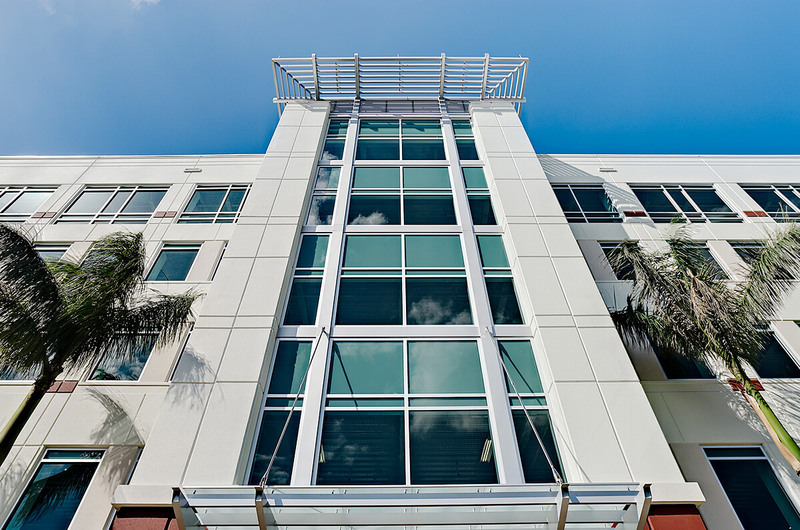 The building also includes an energy management system with generator backup. 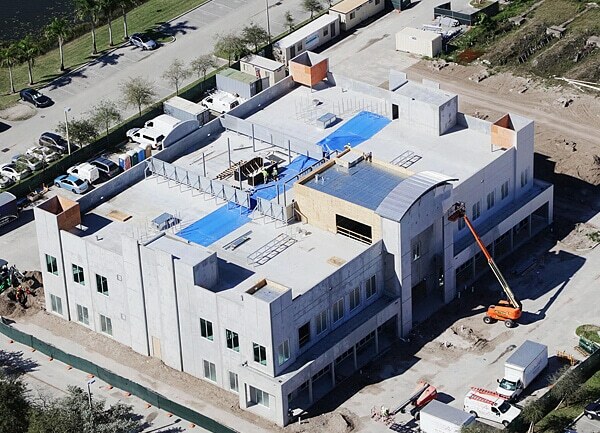 The biggest construction challenge on the relatively small site was finding space for casting beds needed to form and pour the tilt-wall panels.